Coins were part of the Bradford West Gwillimbury 25th anniversary of amalgamation exhibit at the BWG Public Library in 2016. 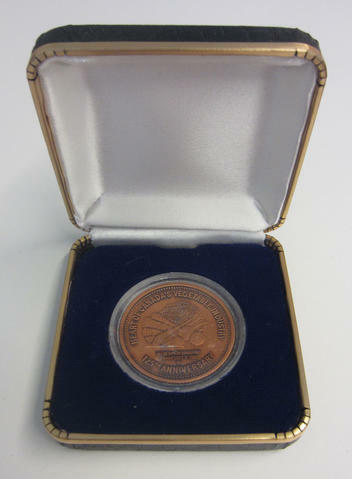 Commemorative copper dollar made for the Town of Bradford's 125th anniversary. The coins were able to be used at Downtown Bradford businesses.